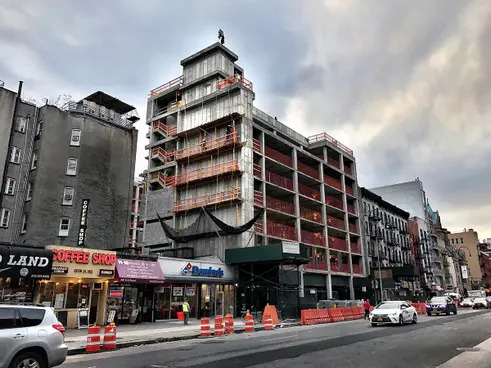 If you’re reading this on your phone while waiting in line at the Union Square Trader Joe’s, the news will come as a relief: Construction on 432 East 14th Street, which will be home to a second East Village Trader Joe’s, has just topped out. The wildly popular grocery store will be the retail portion of a new, two-wing building designed by SLCE Architects with 130 apartments on top. 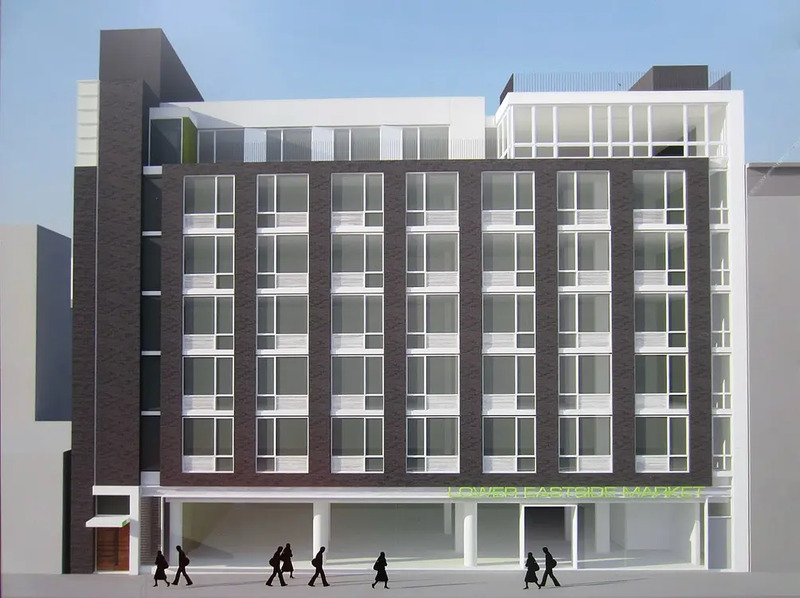 Residents will undoubtedly appreciate their building's retail tenant, and official amenities will include a courtyard, lounge, outdoor exercise and yoga room, laundry room, and bike room. Completion of the whole building is expected for 2018. 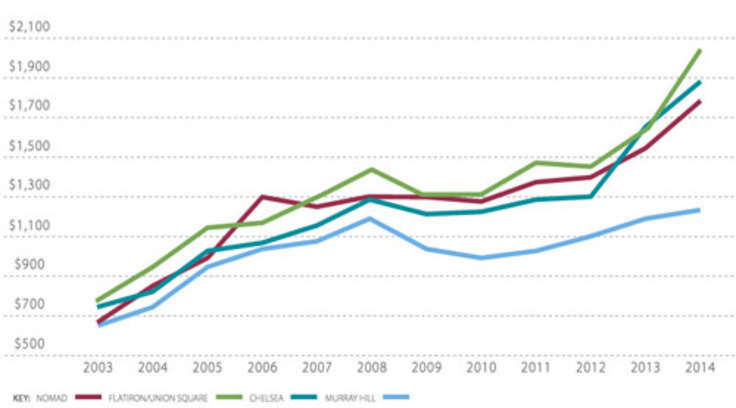 Trader Joe’s isn’t the only newcomer to this stretch of Alphabet City. 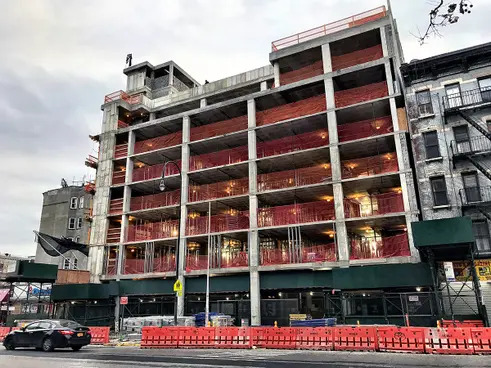 Across the street, luxury two-building complex Thirteen East + West has recently topped out. 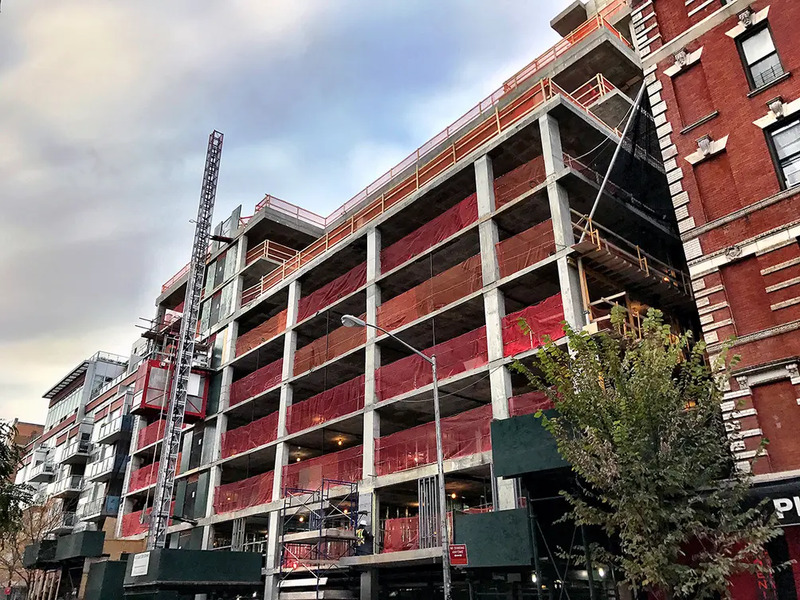 And down the block, Target has signed a lease at 500 East 14th Street.